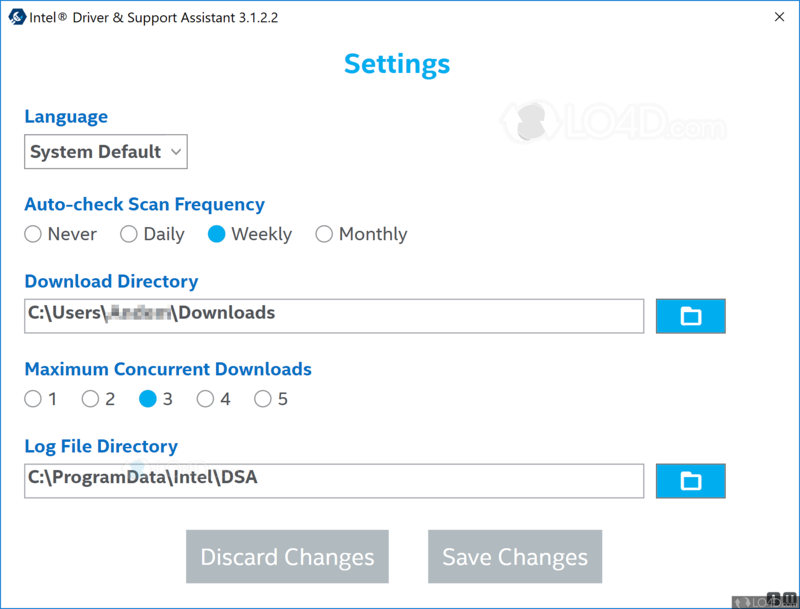 Intel Driver & Support Assistant is a very simple Intel application which provides a quick way to keep Intel drivers on a Windows system up-to-date. Once installation of the application has completed, Intel Driver & Support Assistant can be used to scan your system for currently installed Intel components. Once complete, it can display which drivers are installed and ready to be updated. 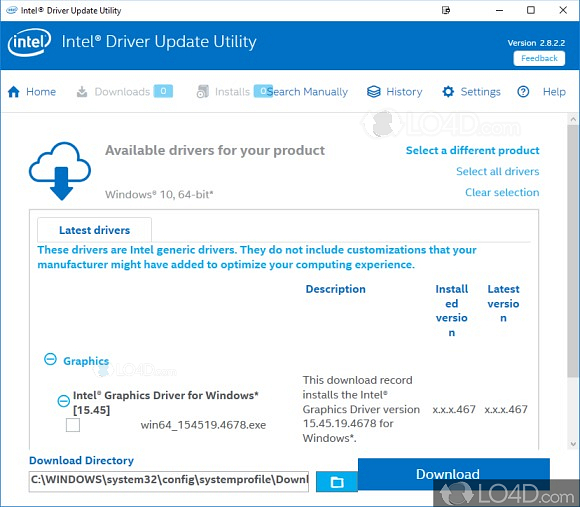 You can compare currently installed driver versions with those that are now available from the official Intel download repository. Intel Driver & Support Assistant can guide you to installing the updates without much fuss. If you do run across any issues finding drivers directly from Intel, you can also use the manual search feature to fine-tune your search. The program offers little in terms of settings and options and sticks to the basics like scheduled auto-scans, download directory, concurrent downloads and where to store log files. 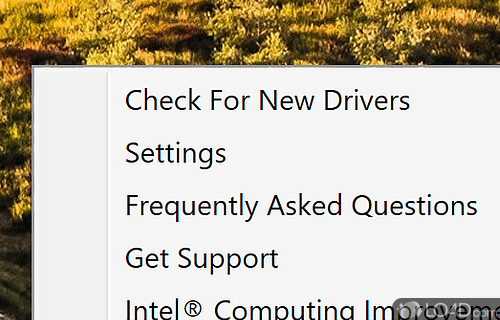 Overall, Intel Driver & Support Assistant is a useful application to have ready for Intel driver updates should you run into any issues. Intel Driver Support Assistant is licensed as freeware for the Windows (32-bit and 64-bit) operating system / platform from computer utilities without restrictions. 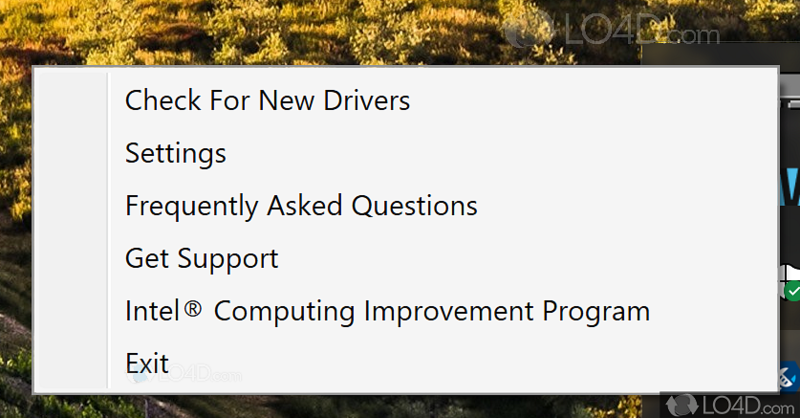 Intel Driver Support Assistant 19.3.12 is available to all software users as a free download (Freeware). Compatibility with this driver updater software may vary, but will generally run fine under Microsoft Windows 10, 8, 8.1, 7, Vista and XP on either a 32-bit or 64-bit setup. A separate x64 version may be available from Intel. This download was signed by Intel and distributed as Intel Driver and Support Assistant Installer.exe. We have tested Intel Driver & Support Assistant 19.3.12 against malware with several different programs. We certify that this program is clean of viruses, malware and trojans.